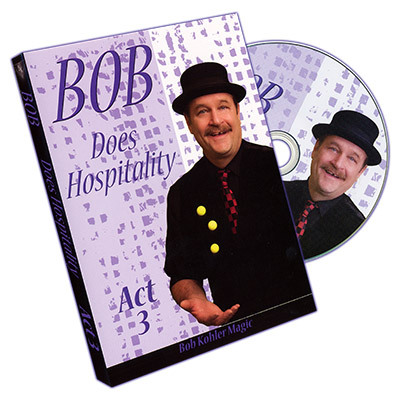 Bob Does Hospitality is a series of three DVD's that covers Bob's current close-up repertoire of nine routines. 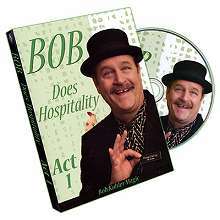 These routines are the ones Bob does EVERY DAY. These are the one's that get THE MONEY. Bob shows you how to easily build all of the card gaffs in just minutes. Three routines use props you probably already own...The Bunnies, Triple Transpo (also know as Copper, Silver, Brass) and The Three Ball Trick. 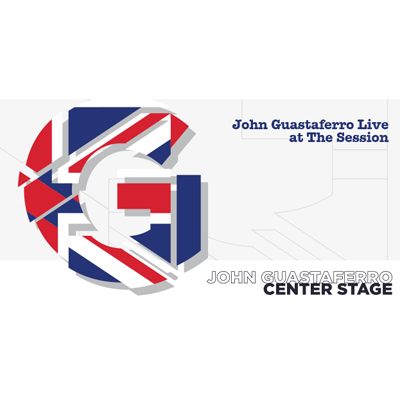 The explanations of the routines are in-depth and cover every aspect of the work. 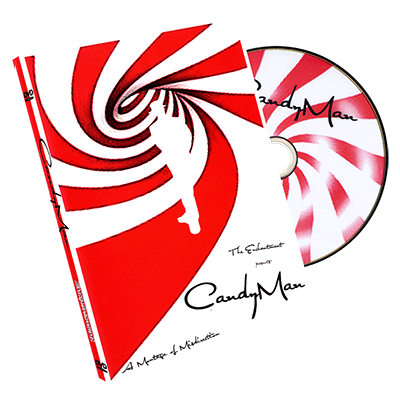 The DVD's were shot and produced in the HD studio at Bob Kohler Magic. Flash Deck: Instant mindreading...just add water!Actually, there is no water except on the audience's brain. The deck does 95% of the work for you. You could do the rest while hanging out on your couch at home. Destined to become a classic.